As anyone who has worked in Japan knows, the vast majority of companies have uniforms. And even for those smaller privately owned shops and craftsmen, there is the work apron known as maekake in Japanese. Worn around the waist and tied off in the front, work aprons not only help to keep the user's clothes clean, but also serve an important advertising function. Let's take a look at this tidbit of history, a maekake which dates back around 60 years. Work aprons are used by a wide variety of shops, and are certainly not limited to bicycle shops. 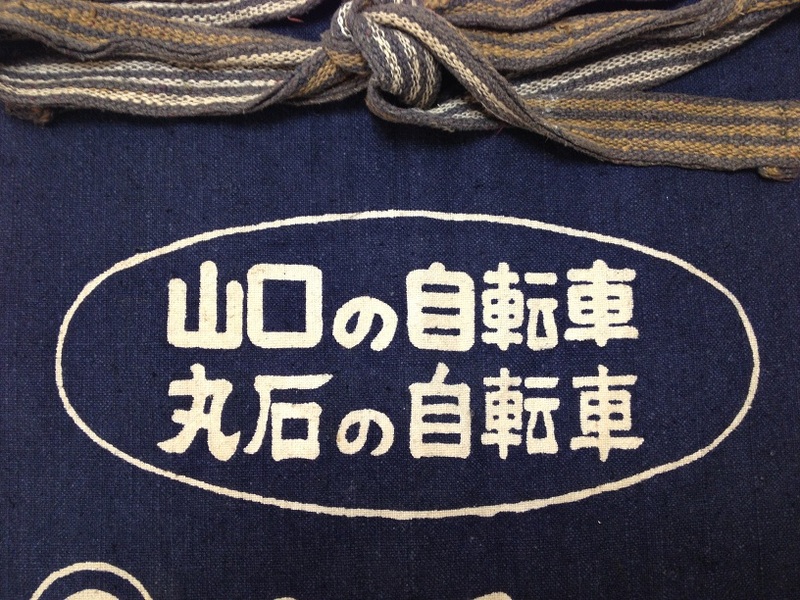 Typical work aprons are made of a coarse indigo colored woven fabric with the proprietor's shop name, address and advertisement printed in white. Let's start at the top and work our way down. 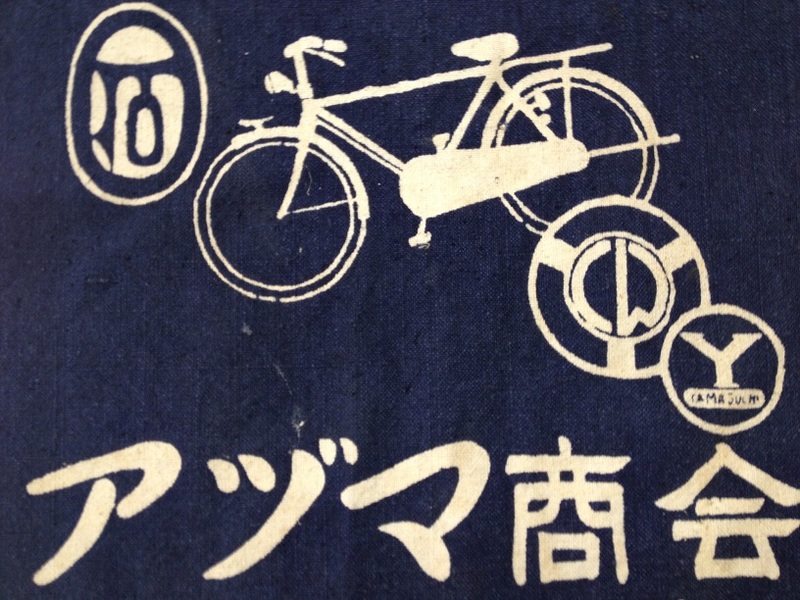 At the top in Kanji it reads "Yamaguchi Bicycles and Maruishi Bicycles". 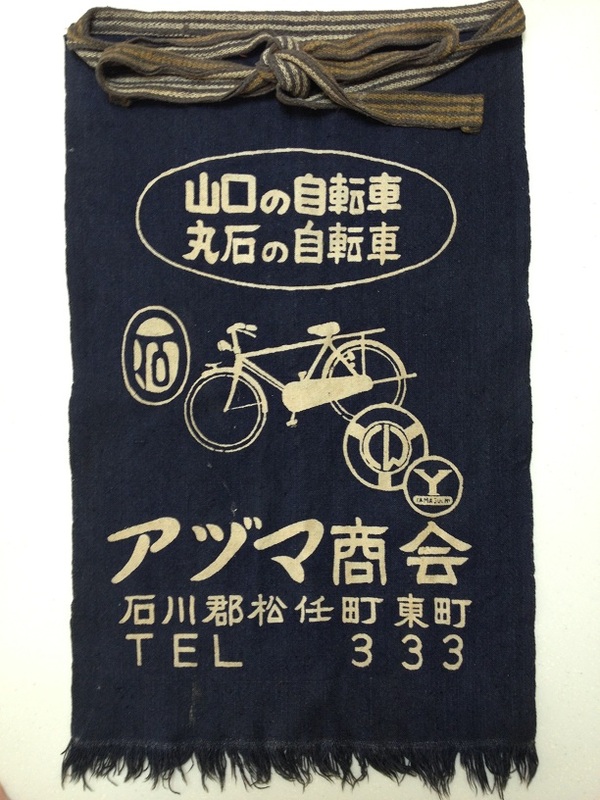 Printed in the middle of the apron are the emblems for Maruishi and Yamaguchi bicycles along with the silhouette of a bicycle. Note the detail in the silhouette, full chaincase, headlight, front fender ornament, rear rack, stand and even a generator on the rear wheel. 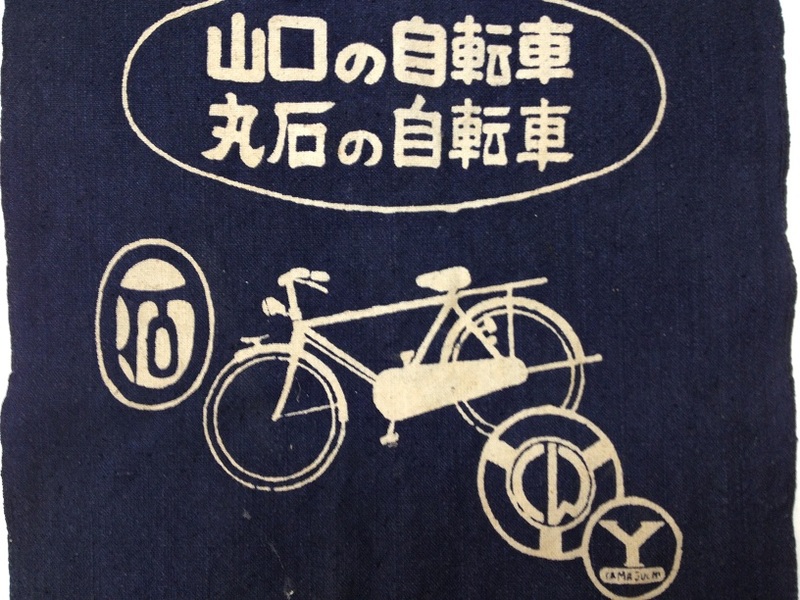 Printed in large characters just below the bicycle emblems and silhouette is the name of the bicycle shop which reads Azuma (Bicycle) Shop. Underneath the shop's name is the address and telephone number. 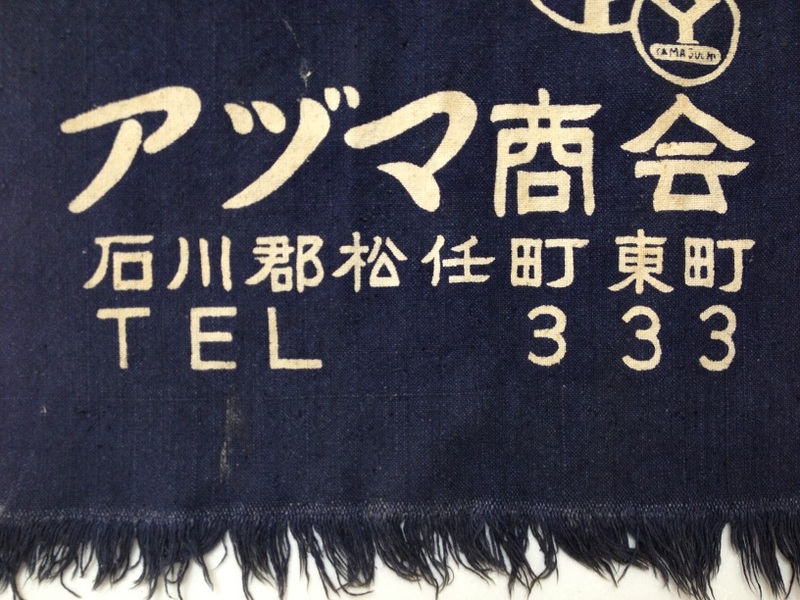 The telephone number "333" reflects just how old this work apron is, a three digit telephone number. But, what a lucky telephone number three "3's"! I ran a quick search for these maekake and was surprised to see various old one's up for grabs on Ebay. Appears these maekake are gaining popularity. One can even have a custom printed maekake made from a company called Anything (Japanese website).